Teenagers who completed a suicide-prevention and depression-awareness program given in their high school were less likely to attempt or contemplate suicide and more likely to recognize a friend who seemed to be suicidal. Developed at Cincinnati Children's Hospital, the program is believed to be one of the few suicide-prevention inititatives with study data backing its effectiveness. A study evaluating the program appears in the new issue of the Journal of School Health and was led by Keith King, Ph.D., of the University of Cincinnati. Among the key findings were that three months after completing the program, significantly fewer students said they were considering suicide than before the program, reported planning a suicide attempt, actually attempted suicide, and acknowledged feeling said and hopeless. In addition, substantial percentages of the students said they planned to talk more with ther parents or friends about their problems and now recognized warning signs of depression and suicidality. 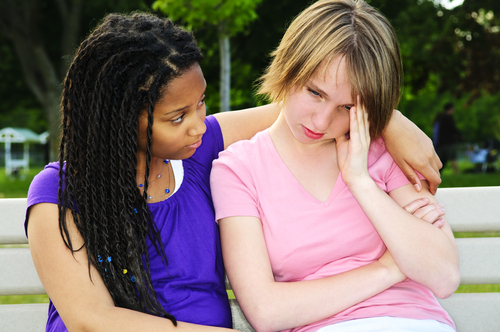 Suicide is the third-leading cause of death in adolescents and young adults. Read more about suicide prevention efforts in Psychiatric News at http://pn.psychiatryonline.org/content/46/1/8.2.full; http://pn.psychiatryonline.org/content/45/14/12.1.full; and http://pn.psychiatryonline.org/content/45/20/4.2.full. Important information about suicide and teenagers is also available in the American Psychiatric Association pamphlet "Let's Talk Facts About Teen Suicide," which can be ordered at www.appi.org/SearchCenter/Pages/SearchDetail.aspx?ItemId=2371. What Underlies OCD's Rituals and Behaviors?